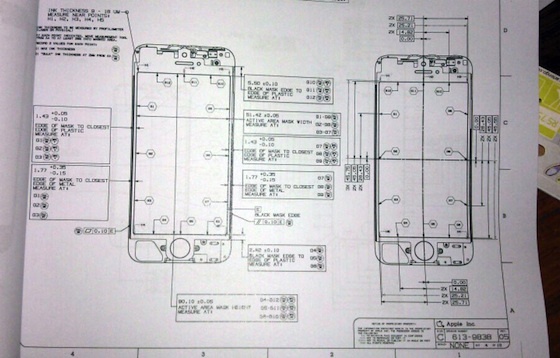 Images of detailed iPhone 5 schematics have been published on the website of repair firm iLab Factory, just a day after several photos appeared that showed the front and rear of the new iPhone. First identified by Japanese Apple blog Macotakara, the design schematic closely resembles the leaked photos, which show a taller device with a 4-inch screen and a relocated FaceTime camera. Measurements obtained by MacRumors indicate that the next-generation iPhone will measure 90.1mm high and 51.4mm wide, which correlates with a 4-inch diagonal screen and 16:9 aspect ratio. Besides the increase in screen size and relocation of the FaceTime camera to above the earpiece, the design of the iPhone 5 does not depart greatly from the iPhone 4. 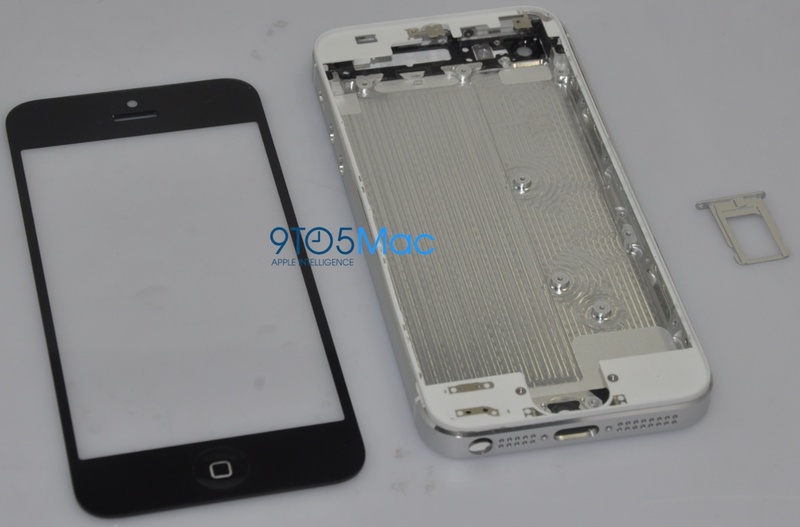 Despite earlier rumors, there is no elongated home button, and no ‘teardrop’ form factor.